The College is decorated with a multifunctional 800 seating capacity Mahatma Gandhi Hall which serves as a common platform for conducting workshops/ seminars/ talks/ guest lectures at all levels . The faculty and students can have access to regional, national and international experts for academic discussions at hand. A Gandhian thought philosophy centre funded by UGC, New Delhi is operational in the campus. It has a seminar hall, well equipped with audio visual aids and a capacity of 100 seats. 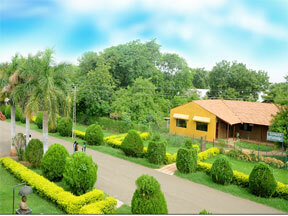 It is a popular venue for almost all the co-curricular activities organized by the college. Our college has one separate, fully equipped ICT hall for common use. This hall is used for conducting seminars, paper presentations, Pre-Ph.D. presentation of research scholars and presentations of PG dissertations. Our faculty members are regularly involved in delivering talks on their research.